There are many things that draw me to this lovely little creation. 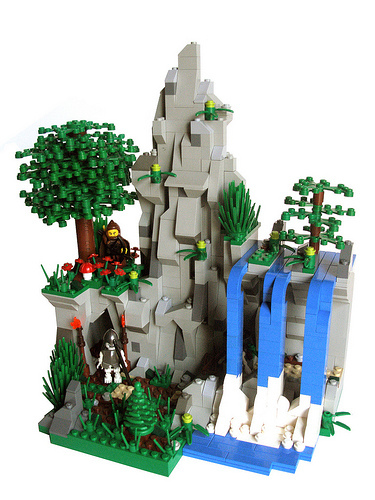 The waterfall just jumps out, and I love the not-square base. Posted by David Leest, recently out of his dark ages. I’d say he’s coming out of those dark ages quite strong!